Slowly but steadily, the concept of blockchain as a service for usages like smart contracts and DApps for different enterprises is shaping up well. As a result of which, with time, such blockchain platforms are becoming more valuable. If you look back and compare, this time last year, there were hardly projects with a billion dollar market cap, Bitcoin being an exception. All these platforms are trying to solve the problem of blockchain adoption through various unique implementations. Needless to say, Ethereum leads the way but that doesn’t mean others are far behind. One such decentralized blockchain application platform that is barely talked about but has the potential to compete with the projects listed above is QTUM. 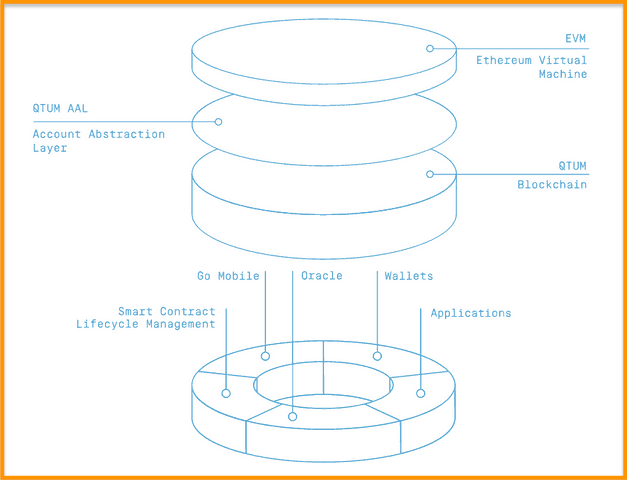 In a way, the QTUM blockchain is a hybrid of Bitcoin and Ethereum blockchains and can be used like Ethereum to deploy smart contracts and DApps that do not have a single point of failure. But when we can do the same thing with Ethereum, why do we need QTUM? QTUM is the hybrid of Bitcoin and Ethereum. It takes the best parts of both the blockchains and combines it in the real world to give us the best of both Bitcoin and Ethereum. In its simplistic form, QTUM developers took Bitcoin core’s code and changed its consensus mechanism from POW to POS and then implemented Ethereum’s EVM (aka Ethereum Virtual Machine) over the modified Bitcoin code base. They have decided to retain Bitcoin’s code because of its UTXO accounting model which, in the future, will help QTUM incorporate all the important Bitcoin Improvement Proposals. They have also stuck with the Ethereum virtual machine with a proof-of-stake consensus because businesses around the world prefer to use a POS model for their enterprises. Under the hood, creating such a hybrid is no child’s play. For this, QTUM uses something called AAL (Account Abstraction Layer) in between EVM and Bitcoin’s code so that they can both communicate. The blending of Bitcoin and Ethereum gives QTUM the reliability of Bitcoin’s blockchain and the capacity of Ethereum blockchain to run any code or DApp on its blockchain without any single point of failure. 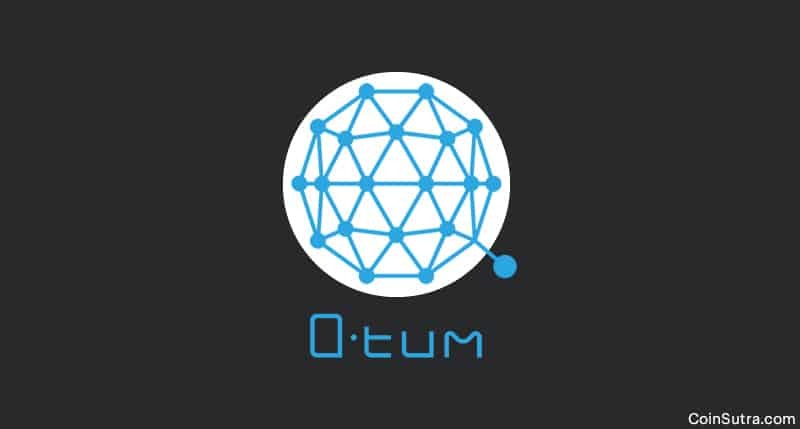 As the QTUM project is a hybrid of Bitcoin and Ethereum, its team comprises of members from both Bitcoin and Ethereum community. 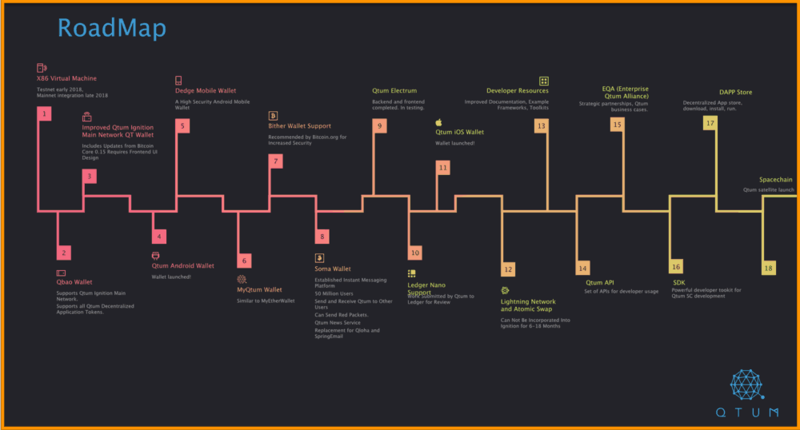 They also have team members who formerly worked with Tencent, Alibaba, Nasdaq etc. Apart from that, they are backed by some notable VCs and prominent people from the Blockchain community. If you compare the QTUM ICO with the recent ICOs, it may appear modest but during their ICO conclusion last year, it raised a whopping $15.6 million – the fourth highest in the cryptocurrency sphere at that time. A total of 51 million QTUM tokens were distributed in the QTUM ICO from a total of 100 million created QTUM supply at the time of Genesis, plus ~1% annual Proof of Stake (PoS) inflation. According to CoinMarketCap, the total circulating supply of QTUM is 88,933,692 QTUM, and the current price of each unit is $3.71 That values it at approximately $330 billion (at the time of writing this article). For good projects like QTUM, there are enough exchanges that provide decent liquidity while buying and selling it, some which are listed below. 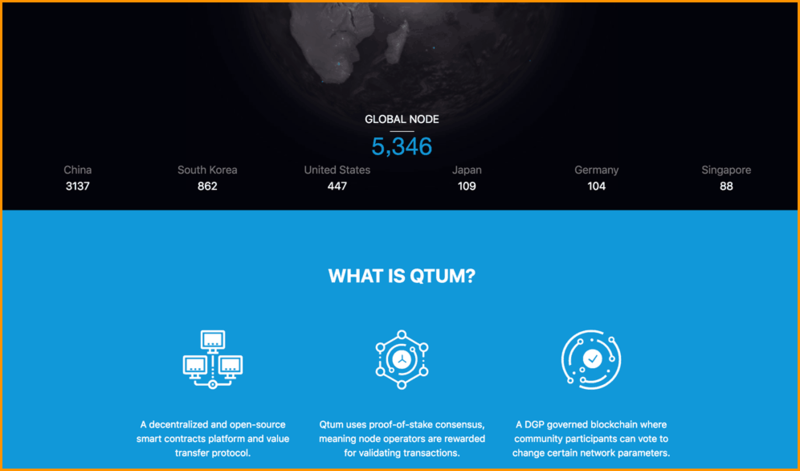 QTUM has sufficient wallet infrastructure across all mediums in just one year of existence, which shows the dedication of the team. 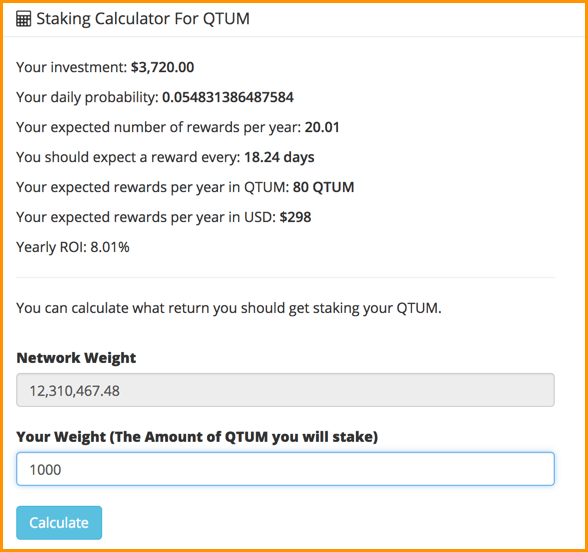 Of these wallets, QTUM can be staked on desktop wallets for earning passively in the form of staking dividends. For ‘X’ amount of QTUM holdings, you can expect approximately 8% annual returns. You can check the same here, their staking calculator. Also, note that staking cannot be done in mobile wallets. It is currently not possible in hardware wallets either, but will soon be possible on Ledger devices. Conceptually, if you ask me, QTUM’s future looks very bright because with a Bitcoin code base it will be able to incorporate Bitcoin’s improvements like Sewgit, Lightning etc and with EVM it will be able to host any Ethereum-based DApp or smart contract. It may not seem very significant right now, but in the future, with the multitude of apps being built on QTUM, this innovation will help QTUM scale quickly. Also, QTUM is a mobile-friendly infrastructure where you can deploy smart contracts from mobile-like lightweight interfaces too. Currently, Qtum hosts more than 20 DApps, the ICOs of which were executed on the QTUM blockchain itself. 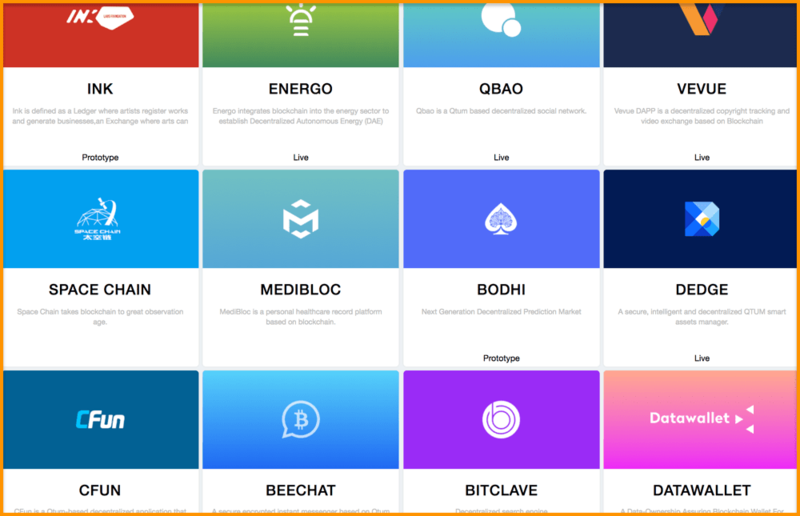 You can see some of the DApps in the image below. The only worrisome aspect is the fact that projects like Ethereum have a strong user base and alliance. It will be interesting to see how QTUM goes further considering it doesn’t have as strong a user base. However, working on the alliance and user base is part of QTUM’s roadmap. I feel this space is not a zero-sum game and that more than one blockchain platform for smart contracts and DApps can definitely exist. That is all from my side in this introductory article on the QTUM project. I will soon be back with some new blockchain product round-up. Until then, stay tuned and keep enjoying the blockchain revolution. I initially liked QTUM, but thought like a trader and sold it off swiftly with a loss. I did not know the importance it had, however after going through this article, I made sense as to why it was worth staking. As I am new to crypto coins and its technical aspects, I am obliged to read your publications here. Could you please throw some insight on NCASH as well ?